We present a plugin for the ARGoS robot simulator which enables the use of 3D physics simulation and definition of objects and entities without the need to develop new entities in C++. We provide the facility for entities to be loaded and added to simulations using a URDF inspired XML format. Loading of entities, physics simulation and rendering is all handled by the plugin, removing the need for knowledge of specific engines or OpenGL. 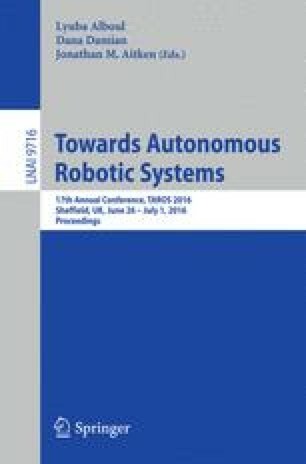 This paves the way for ARGoS to be used not only for development and evaluation of controllers but also for evolution of robot morphologies and co-evolution of controllers and morphologies which was previously not possible without a considerable development overhead. The authors would like to acknowledge support from the EPSRC and the Department of Electronics, University of York. JT is partially funded by The Royal Society.